With this past ski season the snowiest this century at many resorts in the Alps, and flight costs generally low in the shoulder season between winter and summer, 2018 could be the year to squeeze in that extra ski trip. May is traditionally one of the quietest months in the goal ski resort calendar, when most resorts in the northern hemisphere are closed and before most of those south of the equator open for their winter season, but this year the snow is still lying up to 7 metres (that’s more than 23 feet deep) at some areas, so the late spring skiing season for 2018 could be exceptional. 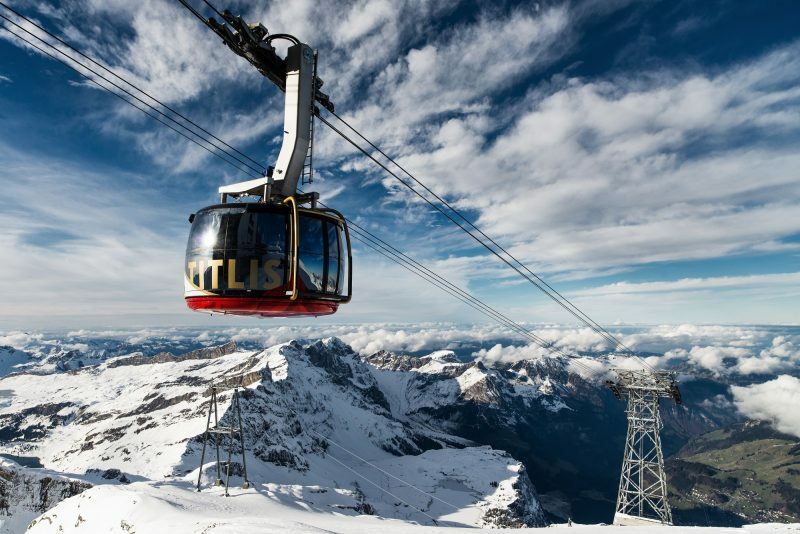 One of the world’s two ski areas that endeavours to operate its ski slopes year-round, Hintertux also maintains one of the biggest ski areas in Europe through the summer months and can have over 50km of runs serving a 1000m+ summer vertical, all accessed by great high speed lifts available. 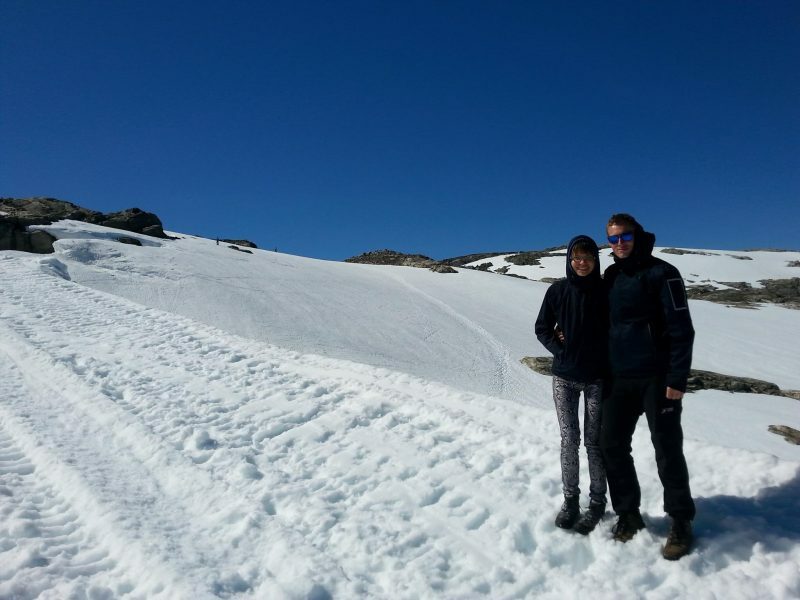 There’s been plenty of snowfall this year and currently the snow is lying 4 metres deep on the glacier, so it’s looking good. Mammoth set new monthly snowfall records in January last year but hardly got any snow from December to February this season. That changed big time in March however when it really dumped down all month, continuing in to April, and bases are now 1.8 – 3.8m. We’re not sure if that’s enough to see operations through to August as last season but so far they’ve announced they’ll definitely be open through May. 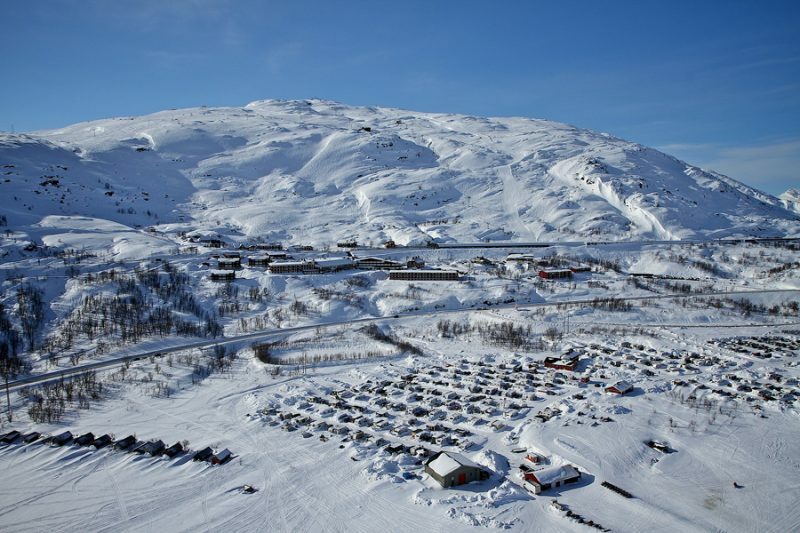 Europe’s spring skiing capital is located up in the Arctic Circle in the far north of Sweden. It is so cold and dark here mid-winter the resort only opens for its ski season in late February and then stays open to Midsummers weekend in June. It’s so far north that from mid-May onwards you can ski under the midnight sun here several nights a week. 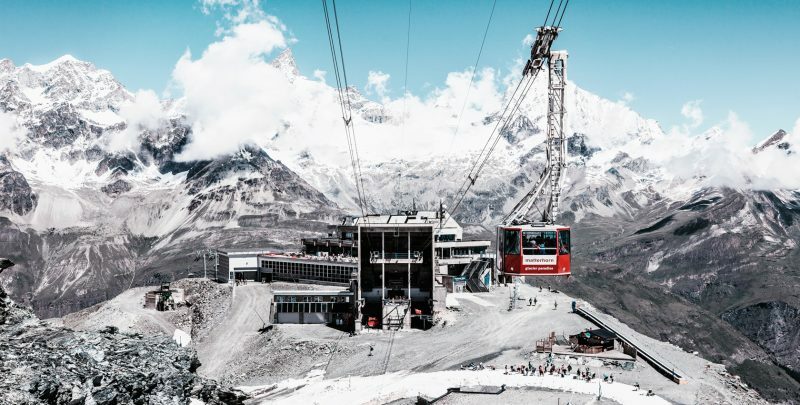 Europe’s highest ski lifts operate above Zermatt, the other one of the world’s two ski centres that endeavours to open for snowsports 365 days a year. It has had an exceptionally snowy winter – so much so that the resort was cut off by avalanche danger on three occasions – but now all that snow is still lying ready and waiting for you now the winter ski season crowds have moved on. 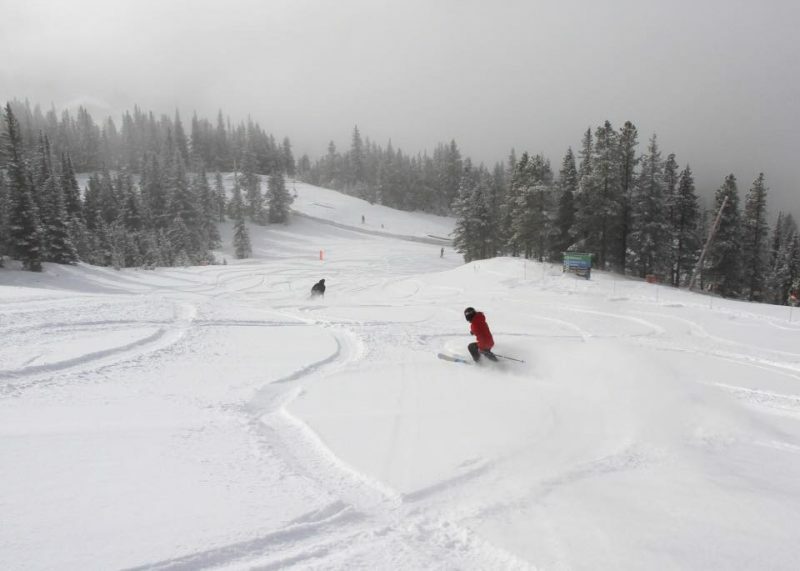 One of the world’s highest ski areas, A Basin (pictured top last week after more fresh April snowfall) opened for the ski season last October, the first in North America to do so unless you count the year-round snowfield at Timberline in Oregon. Often open to June or July, A Basin weathered a fairly lacklustre winter for snowfall in the Western US and now has a 165cm base with pretty much all runs open, all lifts operating and sub-zero temps. It’s so far says it will be open to June 3rd but the season usually gets extended again from there. As most of Norway’s regular resorts close at the end of April, three glacier centres open to ensure Norwegians don’t have to miss out on snowsports through the summer months. Folgefonn, known as ‘Fonna’ by its friends it the first, due to open this year on 28th April, 2018. It’s stills snowing on the mountains around Banff and they’re saying it has been one of the snowiest winters in years. Lake Louise (Pictured above on 16th April 2018), open to 6th May, and Sunshine (open a further fortnight) both have snow lying about two metres deep and everything open. Why wouldn’t you? 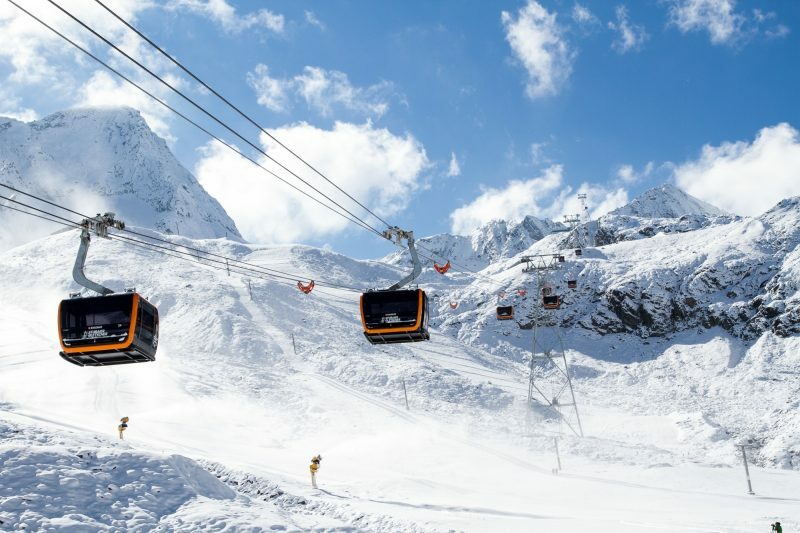 The Stubai Glacier spend €50m last winter on some nice new cable cars to whisk you up the slopes and with its proximity to Innsbruck airport and the snow still lying 4 metres deep up top it has to be a good bet for some May turns in the snow. France does not really do lift-assisted snow sport in May and June. Although resorts like Avoriaz have been boasting of record breaking 5 metre plus snow depths this past month and whilst Chamonix and other areas remains a spring Mecca for ski touring, all the ski lifts in the country will be turned-off and the groomers will be lying dormant from mid-May. Last to close looks like being Tignes on the 6th, then Val Thorens on the 8th unless there are any unexpected last minute season extensions. Europe and the world’s deepest snow for almost all of 2018 has been reported at Engelberg in Central Switzerland where the snow is lying more than 7 metres deep (in the past week or so it has been pipped by Mt Baker in Washington State, USA, which is now at 7.1 metres, but Engelberg will be open later). Depending on snow cover on lower slopes, May skiing, which runs until the latter half of May, may be restricted to the upper mountain and the Titlis glacier. To May 6th: Loveland, Sugarbush, Tignes, Cervinia, St Moritz, Kitzbuhel, Pitztal and Tyin-Filefjell, Ruka, Val Senales (Schnalstal), Nevis Range. Then to the 8th: Val Thorens; 13th Molltal Glacier; 18th Mt Hood Meadows; 21st Kaunertal, Whistler; 26th Mt Bachelor; 28th Squaw. Also open pretty much year round Dachstein glacier and Timberline. Not yet said when they’ll close: Cairngorm, Glencoe, Jay Peak, Killington, Wildcat, Snowbird, SugarLoaf, Sunday River. 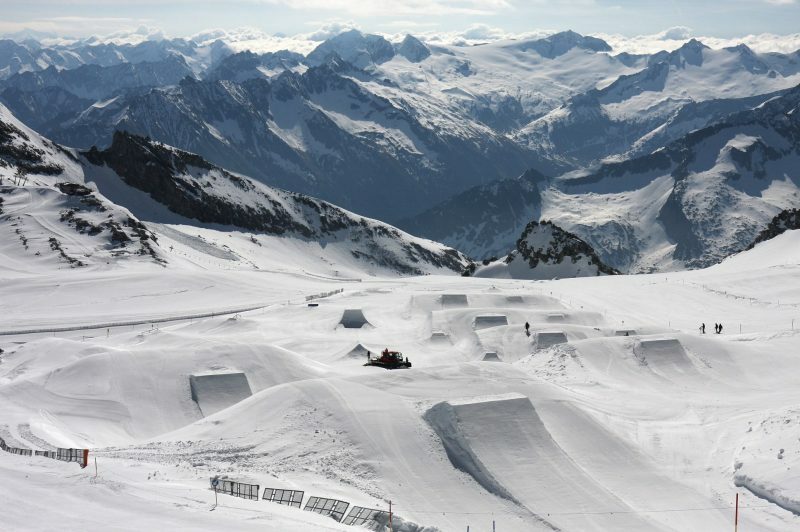 Already said open to June or July: Riksgransen, Kitzsteinhorn.